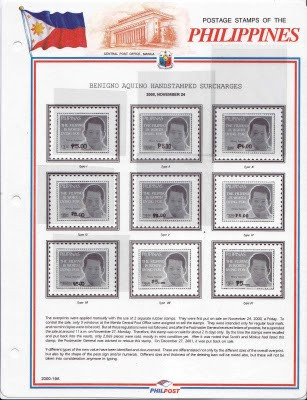 2000 Ninoy Aquino handstamped issues Types 1 - 7. 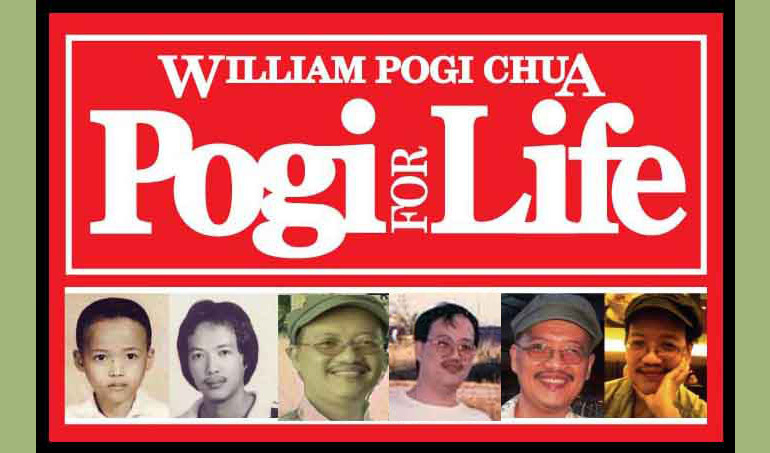 I hear a complete set with Types 8 and 9 now costs $300. 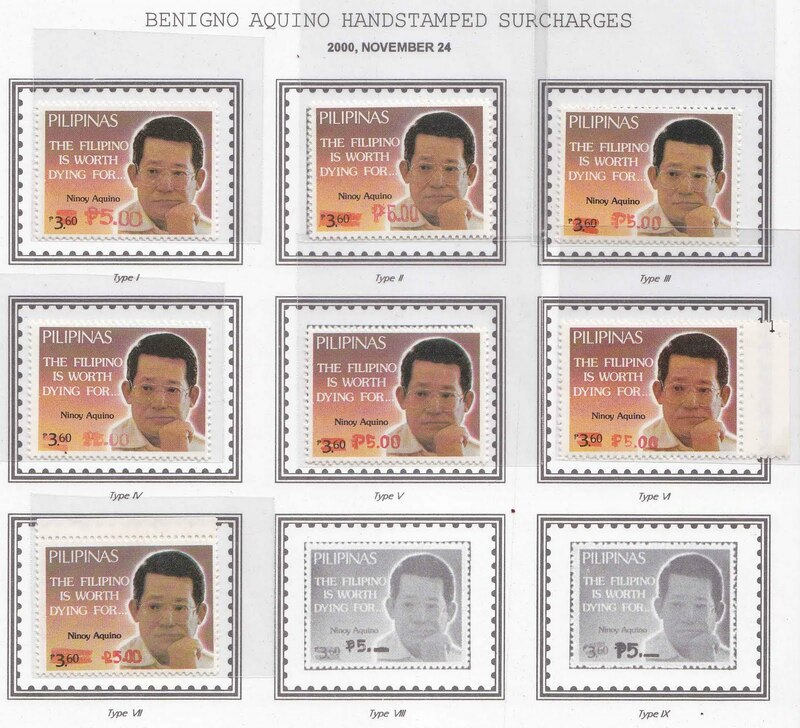 The overprints were applied manually by postal employees. Different handstamps were used, resulting in several types (so far, nine types have been identified and catalogued as genuine. The key to identifying the types is the difference in the peso signs and the shapes of (and the distance between) the zeros. 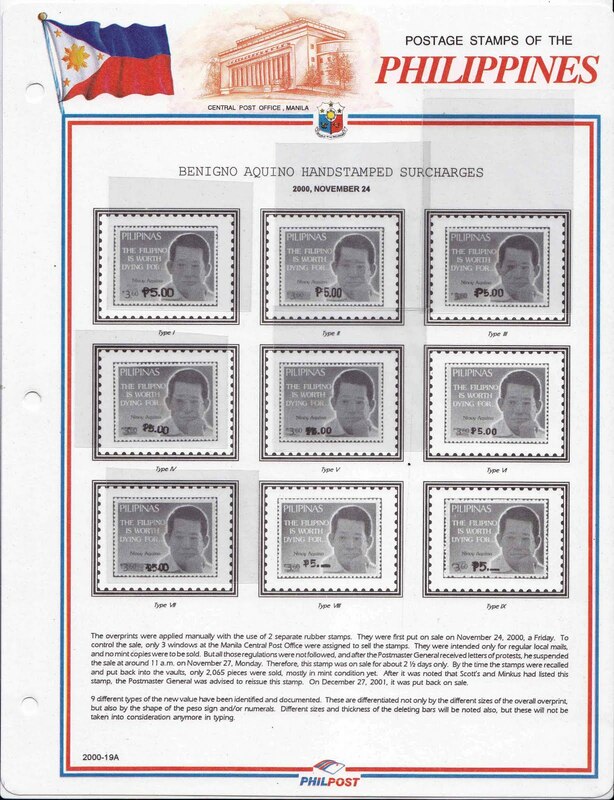 Collectors can copy and print this page, preferably on thick paper, so they can read the notes about the stamps.